This kit is fantastic value and comes with everything you need for your electric poultry fence. 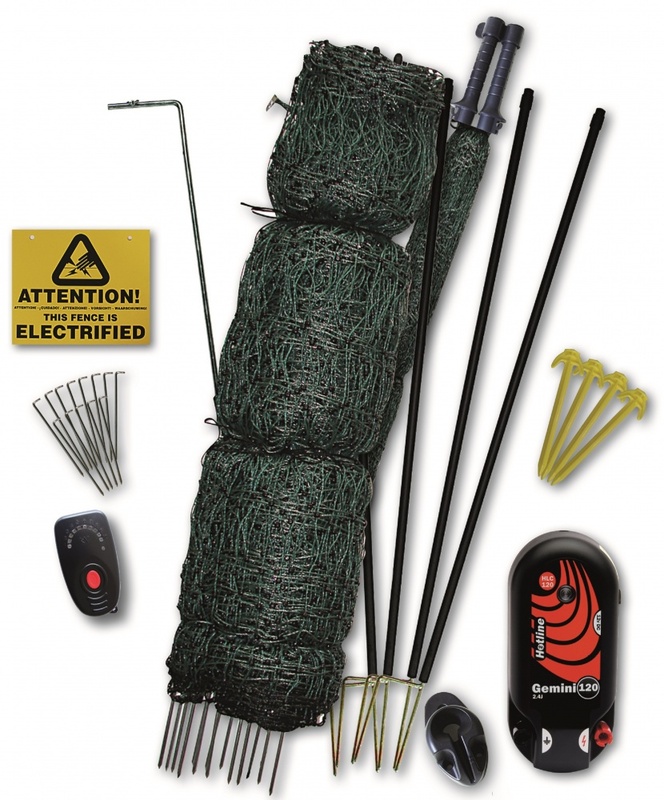 Electric fences are safe for animals and children. The idea of the fence is to keep birds safe while allowing them to roam, and to keep the fox away. Nets can be easily moved and are very easy to put up once you get the hang of it! You can easily add nets or cut nets down, should you need to. This kit is made here, in the UK. The energiser comes with a 3 year warranty and is capable of powering up to 3 nets, should you wish to add more netting down the line. The Hot Gate makes for easy entry into the enclosure and the corner posts allow you to add strength to your netting at key points. The net can be configured in any formation (even in a straight line). 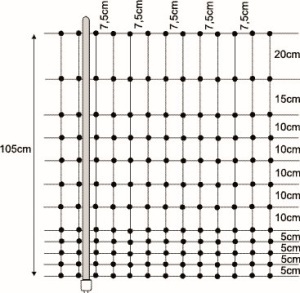 A fence tester is also included in the test, allowing you to check the voltage on your fence. 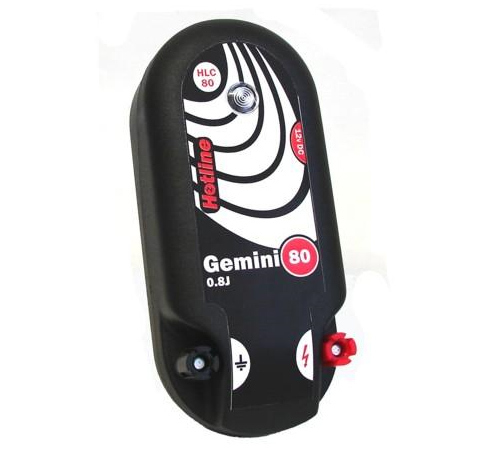 The Gemini 80 energiser runs from either the Mains or from a 12 volt leisure battery. 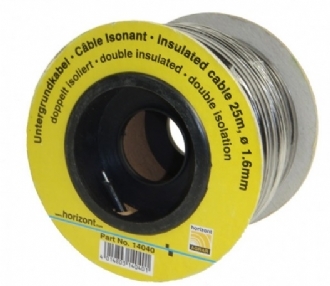 If you are running the energiser from the mains, you may wish to add High Voltage Lead Out Wire to carry the electricity from the energiser to the fence. This comes in reels of 25m, 50m and 100m. 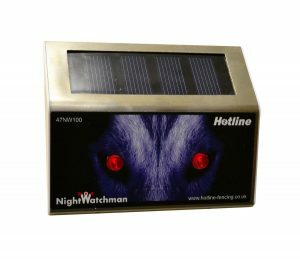 If you are running the energiser from a 12 volt leisure battery, you may wish to add a solar panel which will charge the battery for you, saving you the time and effort of recharging your battery from the Mains. This energiser is made by Hotline, right here in the UK. 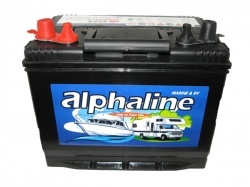 It can run from the mains or from a 12 volt battery, and comes with the mains adapter and the cables to connect to the battery. The Gemini 80 has a 3 year warranty. The energiser is very easy to use and can be mounted on a wall or a post. 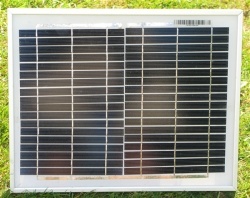 It is designed to be out in all weather, but must be housed indoors if connected to the mains. It has a light that flashes to let you know that it is working, and a light that flashes if the battery is low. The Gemini 80 can power a multi-wire fence of up to 8KM and has 0.8 output joules. 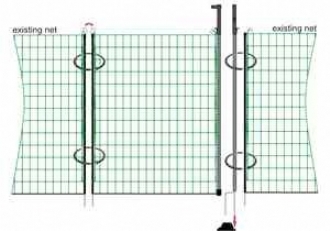 It is ideal for larger paddocks, goats, sheep and pigs. It can power up to 3 poultry nets. The Gemini is very easy to mount on either a wall, post or the included stand/mini earth stake. What we think: We love Hotline for its quality and because the company stands behind its products. The Gemini 80 is a great, flexible unit that is suitable for most animals and set-ups. 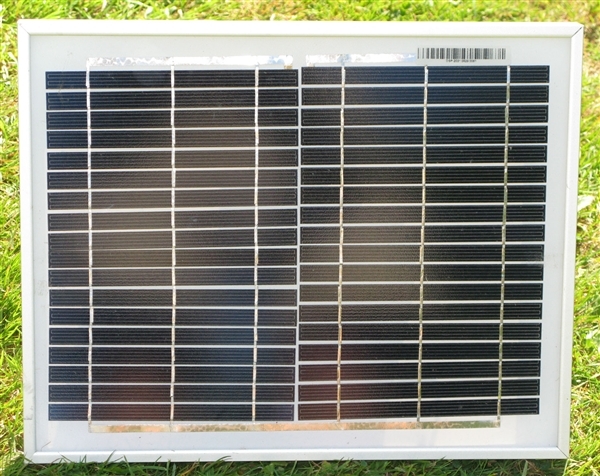 If you are running your energiser from a 12 Volt battery, why not add a solar panel to charge your battery? 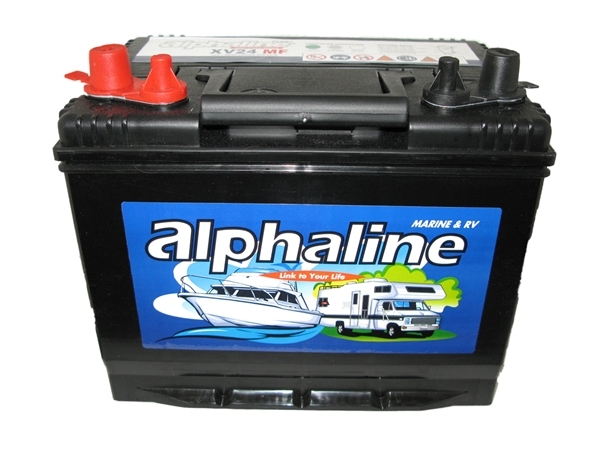 It's reliable, easy to use and good for the environment...and no more charging heavy 12 volt batteries! Only £32.99! If you have any questions, please don't hesitate to give us a call. We are always happy to help.